Moodle (the acronym for Modular Object-Oriented Dynamic Learning Environment) is a free software which provides a platform for e-learning. It is also known asLearning Management System, or Virtual Learning Environment (VLE). Moodle has several features considered typical of an e-learning platform, with some original innovations. Moodle is very similar to a learning management system. It can be used for many purposes such as for education, training and development, and business. 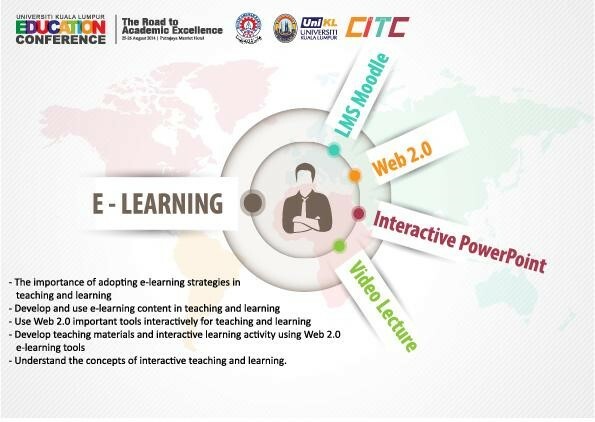 Universiti Kuala Lumpur Virtual Learning Environment (VLE) system is powered by the latest version, i.e. Moodle 3.0, which offers better features and more online-learning apps which are optimised for mobile devices. The VLE contains Panopto, a lecture/presentation/video capture software and Video Content Management System (VCMS). This allows content management and video streaming experiences which are embedded into the VLE.